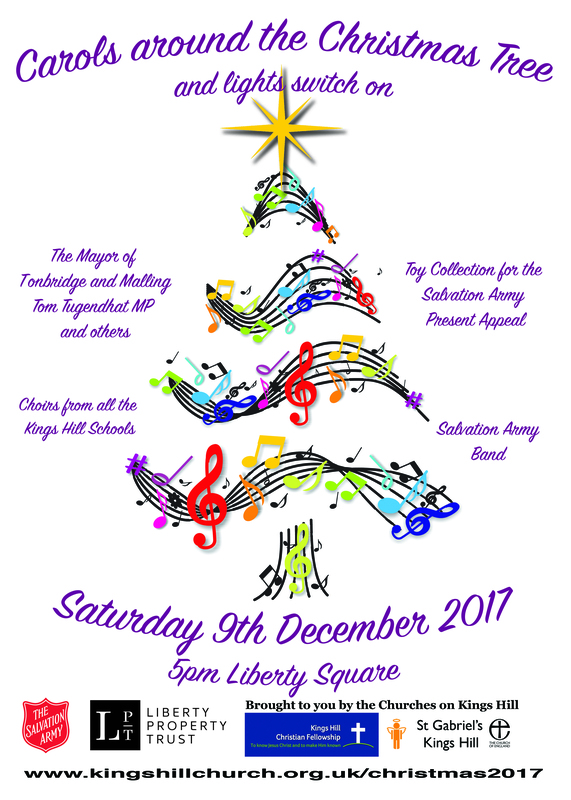 Start your Christmas by singing traditional Carols around the Christmas tree at Liberty Square at 5pm on the 9th December. 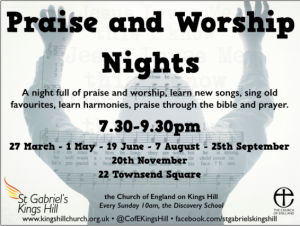 Hear all the schools on Kings Hill tell the Christmas story through song. Join the Mayor and many others for this great community event generously support by Liberty Property Trust and The Salvation Army. Why not make a lantern, to bring with you. The Spitfire will be serving Mulled Wine and Mince pies after the event. Through this community event will also collecting items for the Salvation Army Christmas Present Appeal at the control tower. New toys suitable for all ages as outlined on the above link will be collected to help make sure all children receive a gift on Christmas day. 4pm – Messy Nativity and Christingle – Christmas craft activities (for those last minute gifts!) followed by a ‘scratch’ Nativity and Christingle service. Come dressed up or borrow a costume and take a starring role in Kings Hill’s very own Nativity Play. There will be mulled wine (for the adults!) and mince pies as well as a snack tea for the little ones. 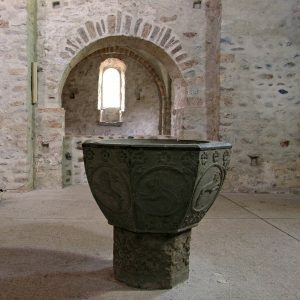 11.15pm – Mid-Night Communion – For the first time in many years, a Mid-night communion takes places on Kings Hill. We are pleased to have long term friend of St Gabriel’s, Canon Jean Kerr coming to preach at this special service. Traditional Carols and Communion at a traditional time! 10am Christmas Day Family Communion – starting with coffee and mince pies. On Christmas Day, 10am at the Discovery School, we will be celebrating the birth of Christ with a lively family communion service (where young and old can show off something new). A traditional way to start Christmas Day. We will begin with coffee and mince pies. Come together with other members of St Gabriel’s as we journey through advent together though bible study and prayer. Each week we will pick up a different theme that moves us towards the birth of the saviour. There will be time to discuss, reflect, pray and share together. Take some time out in the busy run up to Christmas to spend deeper time with God.